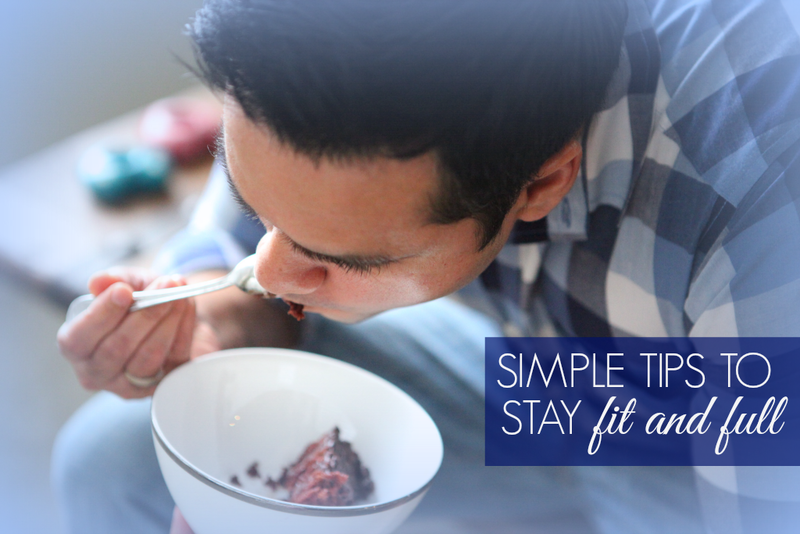 I am always finding easy ways to stay fit and stay full. Gone are the days when I could starve myself thin. Now if I do not eat every 2 hours, I turn into a monster. I really do. Below are some easy and useful tips. They don't work as magic, mind you. You have to prepare yourself mentally and then make it your habit. Chew your food: Yes, which means eating not swallowing your food. The more you chew, the more satisfied you would be by the end of your meal. It also helps in digestion and absorption of nutrients. Serve smaller portions. Eat often but lesser portions. You can eat every 2 hours, but at least you won't be stuffing your face with more food than your require. Using a tea spoon instead of a table spoon helps too. To give yourself a kick start, here are 10 Natural Appetite Suppressants. Eat Fruits and Veggies. All my meals are pre-planned. Breakfast is high in protein and healthy fats while lunch and dinner is mostly 2/3 rd veggies + 1/3rd carbs. Snacks are either fist full of nuts, an apple or cracker and hummus. Fill your kitchen with healthy snacks. I don't keep any chips/soda/chocolates at home to avoid temptation. We do share a slice of cake or have a scoop of ice cream on our cheat day. Learn to say No! - To yourself and to to others too. Once you are full, you are full - No matter what! Over eating is not only bad for your waist line, it is bad for your over all health. P.S. I am working on getting my lean body back. Also, getting ready for the summer. Currently on Day 7 of my Squat Challenge. So far so good. Feel free to join. P.P.S. If you have a question or an idea for a Fitness post, please feel free to leave it in the comments below or via this form.